A programme to support and learn how social movements bring about change has today announced its grantees. Seven movements campaigning on health issues from across the UK are set to receive funding and support as part of the pioneering new programme. The Social Movements for Health programme will see Nesta and its partner, the Dunhill Medical Trust, work alongside and learn from the movements as they shape and frame their campaigns, hoping to understand more clearly how social movements can be supported to reach their full potential. The programme is driven by a desire to better understand the journey social movements take as they grow and to understand what advice and guidance are needed to ensure they can make the biggest impact in the areas they are working in. From April 2019 to April 2020, grantees will receive tailored funding of up to £50,000 to help each movement grow and drive forward their longer-term goals. They will also be able to attend multiple movement-building workshops where they will have access to people with extensive experience in building a social movement and a community of peers to connect with in order to share ideas and explore opportunities for collaborative working. This movement hopes to challenge the underlying causes of mental health issues in Northern Ireland, where more people have died by suicide (4,500) since the signing of the Good Friday Agreement than the total killed during the 1969 conflict (3,600). Local people and organisations in Whitehawk, a deprived neighbourhood in Brighton, are rallying together to improve the health of the community and to fight for better support from primary care services. 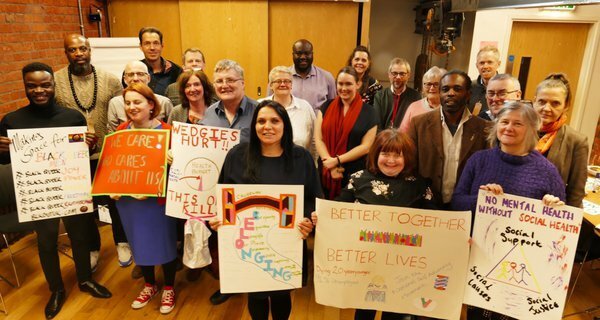 This new resident-led movement will prioritize a local people-first ethos, hoping to tackle some of the growing health inequalities affecting their area. Led by care staff, this movement hopes to improve the perceptions of and working conditions for people in the care profession, building recognition of their skills and contribution to improving the quality of care experienced every day by people across health and social care. BlackOut UK hopes to bring visibility to the sexual and mental health inequalities experienced by black queer men across the UK. Through creative collaborations and networks, they hope to create a movement to counteract the marginalisation and exclusion of this community. People with learning disabilities experience significant health inequalities, including dying on average 20 years younger than their peers and having their human rights ignored or actively abused within the healthcare system. This rights-based movement led by self-advocates hopes to build a national voice for people with learning disabilities, beginning to address these abuses and inequalities. UK mental health services overwhelmingly favour biomedical approaches. However, many experts argue that there is strong evidence that tackling social inequalities and trauma, and promoting self-determination, social support and rights, are essential for better mental health. This movement hopes to create grassroots solidarity for change in mental health systems. Social Prescribing - What Matters to You? Led by a group of medical students, this movement hopes to create a healthcare system where social prescribing is seen to be as important as biomedical approaches. They hope to achieve this through public engagement, early clinician training and medical education reforms across the UK. The Social Movements for Health programme will run until April 2020. For more information on the programme, please visit here. The Dunhill Medical Trust, a member of the Association of Medical Research Charities, funds some of the very best of the UK's academic and clinical research into understanding the mechanisms of ageing and treating age-related diseases and frailty. They also support community-based organisations that are working to enhance the lives of those who need extra support in later life. Herbert E Dunhill died in November 1950 leaving a personal bequest of £250,000 in Charitable Trust for medical research into tuberculosis, the cause of his death. During the 1980s, his niece, Mary Dunhill Lane, who was by then managing the charity, presciently recognized that the many issues associated with a rapidly ageing population were not receiving the attention they deserved. 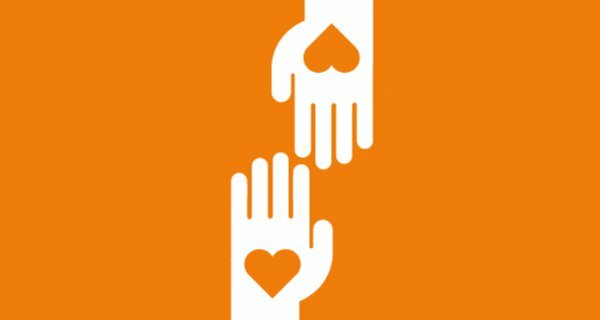 As a result, the charitable objects were formally amended to reflect the new focus and in 1986 the Charity was renamed The Dunhill Medical Trust. Herbert’s initial bequest was successfully invested and managed by the independent trust throughout these administrative changes and is now worth c. £145M today. To find out more visit: https://dunhillmedical.org.uk/about/our-history/. The Dunhill Medical Trust is a registered charity in England and Wales 1140372.